A few years ago I got a new digital camera for Christmas. I went down to the harbour to take a few shots. This was the first one. I didn't realise what I had snapped until I got it home and looked at it on the PC. 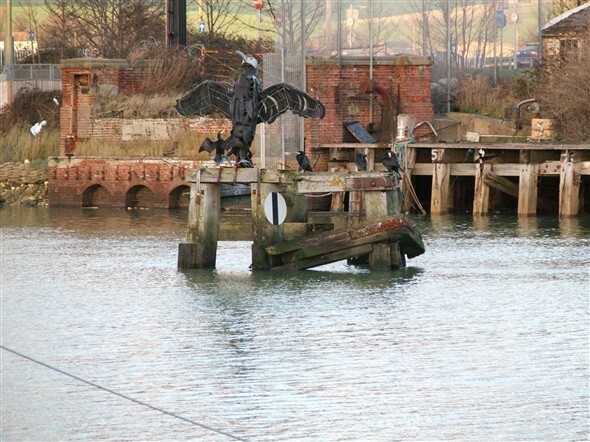 Life imitating art with the real cormorant mimicking the sculpture almost exactly. Cormorants - real and imitation, but who's imitating who? This page was added by Andy Gilbert on 29/02/2008.